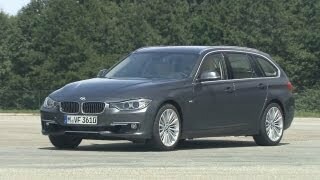 The Sports Wagon continues to be part of BMW 3 Series lineup with the 6th generation as well and promises to deliver an even greater mix between the sporty attitude of a 3 Series sedan and the flexibility and utility of a premium wagon. 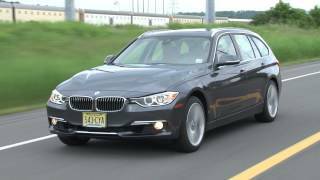 The BMW 3 Series Sports Wagon 2013 will be available in both Europe and US, so if you're on the lookout for a fun, powerful and practical car then this particular model might be exactly what you are looking for. Same as the sedan, the Sports Wagon is motivated by the 2.0 liter inline-4 engine that benefits from a twin-scroll turbocharger. The unit is coupled with the ZF 8-speed automatic gearbox and delivers 240 horsepower at 5,000 RPM and 258 lb-ft of torque at 1,250 RPM. We should also mention that the ZF automatic gearbox will be the only choice and no manual transmission will be available. Performance-wise the Wagon will go from 0 to 60 mph in 6 seconds and will have a top speed of 155 mph electronically limited. Fuel efficiency is rated at 23 mpg city and 34 mpg highway. As before, the Sports Wagon will be offered with either rear-wheel-drive or all-wheel-drive. Powertrain aside, the new model differs from its predecessors when it comes to dimensions as well, the upcoming Wagon being slightly larger and more generous than the previous version. 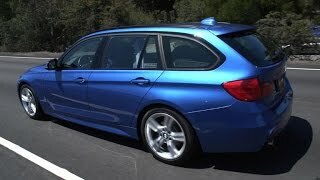 The 2013 Sports Wagon has a wider track by 1.46 inches at the front and 1.85 inches at the rear, plus the car is now 3.66 inches longer with a wheelbase increased by 1.96 inches. On both the exterior and interior the new model is evidently quite similar with the Sedanbut due to the different form factor, the rear passengers will benefit from a larger legroom. Cargo capacity is quite generous and the luggage area offers 17.5 cubic feet of storage with the rear seats in place. Once the 40/20/40 split back seats are folded the cargo capacity increases to 53 cubic feet. Furthermore, the rear-end of the car offers other, new innovations unseen in previous models, including the button fitted on the rear wiper arm which causes the glass area to open independently of the main door. Same as with the Sedan the Sports Wagon will come with three levels of trim, includingSport Line, Luxury Line and Modern Line. The M Sport Line will also be available later on. 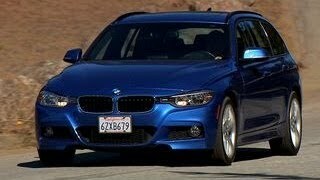 As far as pricing goes the BMW 3 Series Sports Wagon 2013 is estimated MSRP is $37,000, making it a couple more thousands more expensive than its sedan counterpart. As for availability, you should be able to find the new model in European dealerships later this year, whereas the US version will be available in spring 2013. As for its key competitors, right now the Audi A4 Avant or the Audi AllRoad 2013 is probably the best alternatives in case the 3 Series isn't your cup of tea.